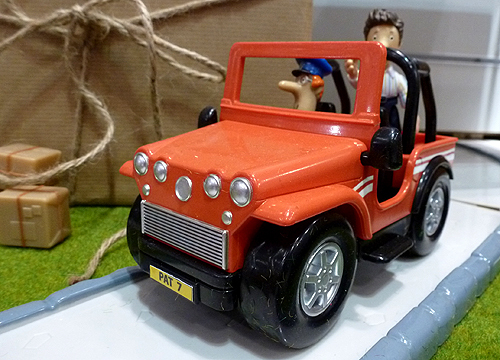 Pat 7 is Postman Pat’s new Jeep. Pat’s Jeep features sturdy roll bars, chunky off-road tyres and solid chrome-effect grille. Pat 7 helps Pat get to the remoter parts of Greendale whatever the weather. The new Pat 7 Jeep from Character Options gets its first release in Spring 2013.